Class service. We will endeavour to replace any incorrect or faulty tem as fast as possible. MAKE MODEL YEARS. KIT FRONT RIGHT SIDE W219. 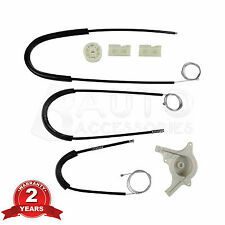 OEM Reference number 2207200446. 2 Year Warranty. 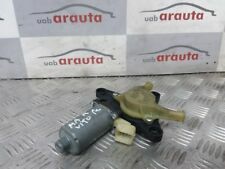 Mercedes Benz E Class W211 Rear Wiper Motor. Part is taken out from used vehicle. It is confirmed to be working. 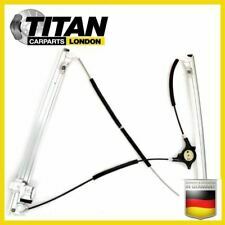 BRAND NEW TOP QUALITY WINDOW REGULATOR . 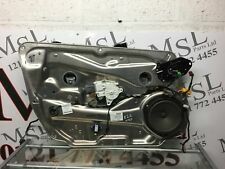 To Fit: All Viano W639 2.0 2.2 2 3.0 3.5 3.7 CDI 4-matic (2003-ONWARDS). All Vito/Mixo W639 E-Cell 109 110 111 113 115 116 119 120 122 123 126 4x4 (2003-ONWARDS). 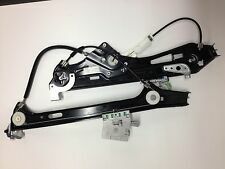 Part: Window Regulator. This way we can we can make sure the correct parts are sent out. 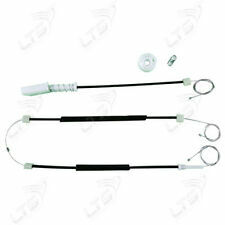 RHF Door Window Regulator. 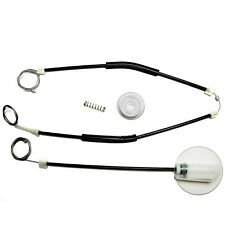 RHF Driver door window regulator. CLS 219 Series. 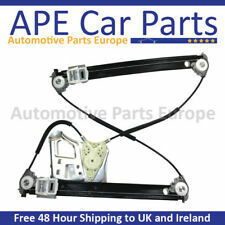 BRAND NEW TOP QUALITY WINDOW REGULATOR. Vito 2003>>NOW W639 Minibus. Vito 2003>>NOW. ELECTRIC WINDOW REGULATOR FOR. UK CARS FRONT PASSENGER SIDE WINDOW . EU CARS FRONT DRIVER SIDE WINDOW . FRONT LEFT NSF SIDE. Model Years BodyType. FITTING CARS. LHF Door Window Regulator. 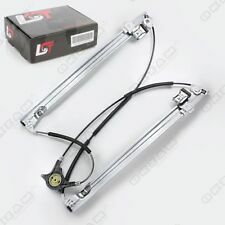 LHF Driver door window regulator. CLS 219 Series. ELECTRIC WINDOW REGULATOR FOR . FITTING: REAR LEFT (PASSENGER SIDE IN UK). ELECTRIC WINDOW REGULATOR FOR . FITTING: FRONT LEFT (UK PASSENGER SIDE). Motor: With. Best Match. Fits with top quality fit and finish. YARIS 10- OUTER LEF. VW POLO HB 01-09 RE. RENAULT THALIA CLIO. FIAT DOBLO 09- DUCA. Window Regulator. Oxygen Sensor. 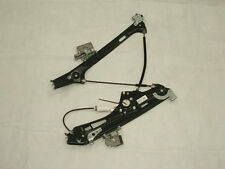 Item Type: Power Electric Window Regulator With out Motor. Window Switch. Fan Clutch. Door Lock Actuator. Water Pump. Crankcase Breather Valve. Window Regulator. High Quality Window Regulator. Running Board. Side Board. IV, HS, KA27-28, KW, PA20-49, PA60-78, PH17-26, PH30-44, ZE, BT, IM, TR21-28, AB, GY, JE, SCOTTISH HIGHLANDS, SCOTTISH & ENGLISH OFFSHORE ISLANDS, NORTHERN AND SOUTHERN IRELAND, ISLE OF MAN AND ISLE OF WIGHT ETC. Part No. 220 820 41 42. 1100+ SOLD ✔! TRUSTED OE QUALITY ✔! 2 YEAR WARRANTY ✔! REFERENCE OE NUMBERS: 6397200146, 6397200546. ELECTRIC WINDOW REGULATOR FOR . UK BASED CAR PARTS SPECIALISTS TO ASSIST✔ 1200+ SOLD✔! ELECTRIC WINDOW REGULATOR FOR . FITTING: REAR RIGHT (DRIVER SIDE IN UK). Fitting Position The all new range of WINDOW REGULATORS from Elta Automotive has been developed in conjunction with selected car manufactures to provide the highest quality components combined with outstanding value for money. Manufacture Part Number:WRL2062R. Window Lift / Regulator Type:Without Motor. Window Switch Function:Without Comfort Function. Fitting Position:Front Right. The all new range of WINDOW REGULATORS from Lucas Electrical has been developed in conjunction with selected car manufactures to provide the highest quality components combined with outstanding value for money. RIGHT SIDE O/S. VEHICLE MODELS / YEARS . 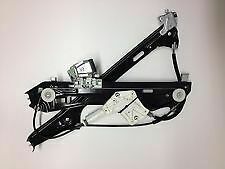 1 REAR LEFT WINDOW REGULATOR. WITH MOTOR. side: left rear. › Watch Item ‹. 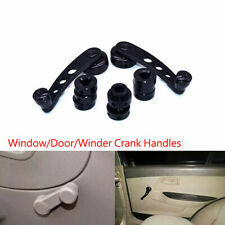 Fits with Always carefully compare OE number and pictures with your old part. Window Motor Driver Off Side Rear OSR. (SECOND HAND). IS IDENTICAL TO YOUR CURRENT PART! (CHECK PART NUMBERS). Scottish Islands. THINK THEY WILL ALSO FIT: W124, W107, W126 ETC. FIT: W201 190/190E. A2017660202 = WINDOW WINDER HANDLES. We open or close our window with the push of a button. Taking for granted the technology behind it. Only once it fails, often leaving the window half way open do we begin to think about it. There are several typical high demand window regulator repair installation links which our expertise demonstrated how it's installed on your car. BMW 318 2001 Saloon. 2143CC 177BHP CLS220 AMG PREM LINE. ASTRA COUPE TURBO Z20LET. BMW 325ti Compact 2001 SILVER. Audi A8 2.7 1998 S line. GLASS AND BODY PANELS. Alloy Wheels and Tyres. SECURITY MARKS. Land Rover. We are not responsible for any labour costs that may incur if there any problems with the part once fitted. Fitting Position : Front Left / Passenger Side. Direct 2 Public. Compatability Chart is for the reference only. No fitting instructions are provided with the product. We have many years experience in the automotive components and fasteners industry. VEHICLE MODELS / YEARS . 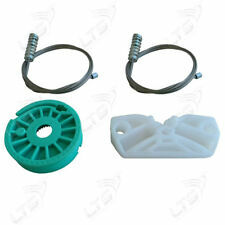 Manufacture Part Number:WRL1280R. Window Lift / Regulator Type:With Motor. Window Switch Function:Without Comfort Function. Fitting Position:Rear Right. The all new range of WINDOW REGULATORS from Lucas Electrical has been developed in conjunction with selected car manufactures to provide the highest quality components combined with outstanding value for money. ROLLER 1 LEFT / 1 RIGHT PULLEY. ELECTRIC WINDOW REGULATOR. Fitting Position KEY DETAILS. The all new range of WINDOW REGULATORS from Elta Automotive has been developed in conjunction with selected car manufactures to provide the highest quality components combined with outstanding value for money.